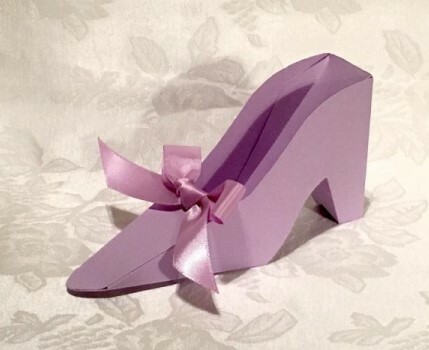 Fabulous High Heel Pump Favor Boxes - Many Colors! 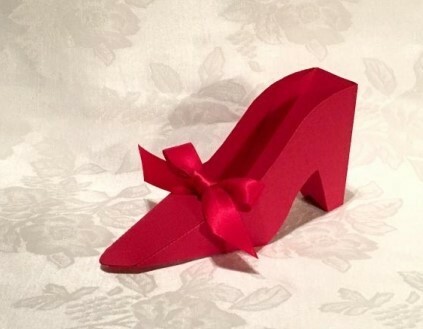 Our very own artist makes fabulous high heel pump shoe favor boxes has agreed to let Diva Entertains and she's been delighting our customers for years! 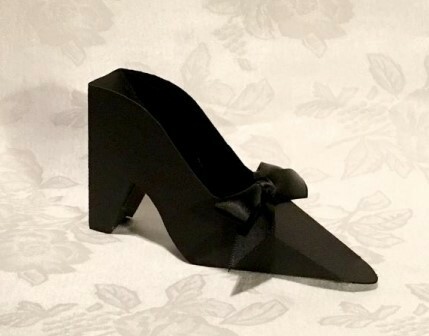 Each high heel pump is meticulously hand crafted - each its own little piece of art. 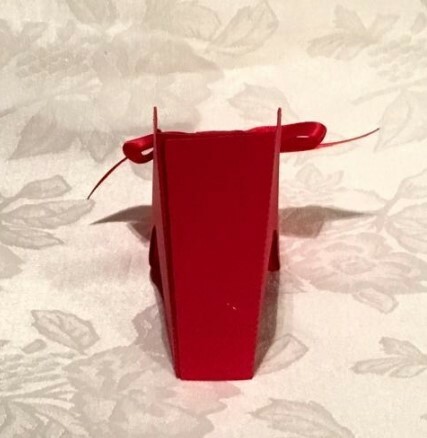 These shoe favor boxes are approximately 5 3/4" long, 3" high and 1 3/4" at their widest. They are made of heavy card stock and are sturdy (not flimsy at all). They arrived fully assembled.